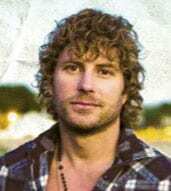 Capitol Records artist Dierks Bentley has hit the brakes to join up with Red Light Management’s Nashville office. Red Light also just announced the addition of music industry veteran Tracy Gershon to the staff. Things are about to get spooky for the Paradigm Agency, which just signed Funk/R&B group Here Come The Mummies to its talent roster. The mysterious nine piece band, comprised of several professional musicians, performs onstage in mummy costumes in order to remain anonymous. Members have adopted stage names such as Eddie Mummy, Mummy Cass, and K.W. Tut. “Here Come the Mummies are a fresh, original music act,” says Bob Kinkead of the Paradigm Agency. “They combine incredible musical skill with unparalleled showmanship. They represent everything Paradigm looks for in a new act.” Here Come The Mummies is currently touring and will release its fifth independent album in October. Congratulations go out to Recording Academy Project Manager Alicia Warwick and husband Chris on the birth of their daughter Farris Nicole Warwick. 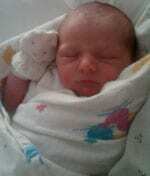 She was born August 16 and weighed 6 lbs., 14 oz. Condolences to family and friends of Lofton Creek Records founder and CEO Harold Shafer, who passed away Saturday (8/27) from complications following a fall and a stroke. He was 76. The successful businessman from Jacksonville, Florida launched Lofton Creek Records and brought in Mike and Martha Borchetta to help run the business. The label first hit with Keith Bryant’s “Riding With The Legend” in 2004 and then had another smash with Heartland’s “I Loved Her First” in 2006. 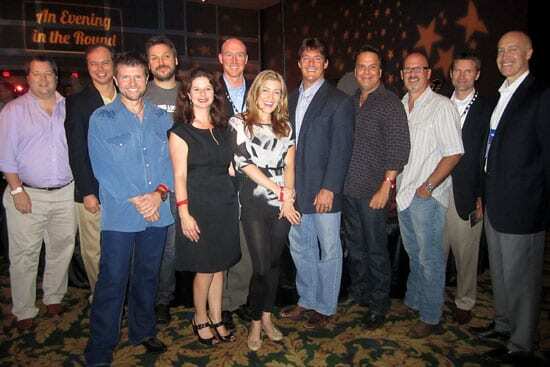 In 2008, Lofton Creek was named MusicRow’s Mid-Size Label of the Year. Shafer’s visitation will take place 6-8 pm Tuesday (8/30), and his memorial service is 11 am Wednesday (8/31) at Hardage Giddens Funeral Home in Jacksonville. The first Evening in the Round at the HealthTrust Conference Dinner, sponsored by BMI, took place at the Opryland Hotel on August 16. Over 600 attendees from the hospital industry enjoyed performances from songwriters Sarah Buxton, Billy Montana, Lee Thomas Miller, and Doug Johnson.